IVINS — Jake Joines, owner of J2 Construction, received national recognition this week as a winner of the National Ecohome Award. The winning Kayenta home he built was one of the Parade of Homes in February of this year and incorporated numerous environmentally focused features. Joines was one of 17 winners nationally from a field of more than 2,500 applicants and the home was the only one in the state of Utah to be recognized. 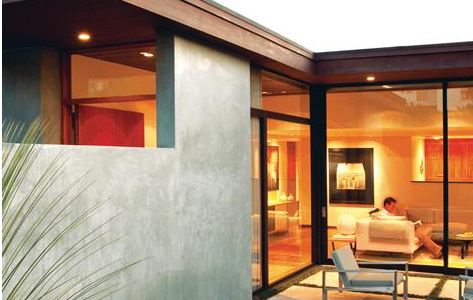 The home is cooled and heated by a 10-zone climate control system and is illuminated completely with LED lighting. There are photovoltaic and solar thermal panels that produce an abundance of electricity and hot water year round. There are many earth-friendly and cost saving features throughout the home. Jake Joines is the chairman of the Southwest Green Build council and owner of J2 Construction with more than 15 years of construction experience. J2 is a recognized green builder and has built three of the four National Association of Home Builders-certified green homes in Southern Utah. He has also received the Utah HBA Green Build Home of the Year award in 2008.